The USS Constellation is the last sail powered warship built for the US Navy. She is now preserved in the harbor in Baltimore. I saw her a few times from a distance while I was in Baltimore but I didn’t get a chance to take a shot until I was walking back from a reception. By that time it was dark and, since I only had my phone with me, that had to suffice. The phone on the camera has a wide angle lens so, even though we were quite close, the ship is a little small in the original shot. However, she still looks pretty impressive. I imagine she would have looked even better when under sail! 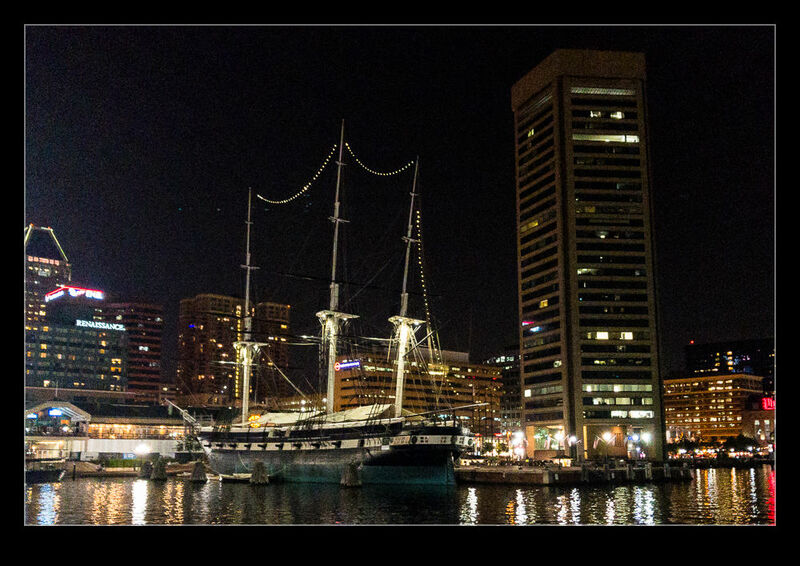 This entry was posted in photo, Travel and tagged baltimore, boat, inner harbor, Maryland, military, night, photo, preserved, sail, US Navy, USN, uss constellation, warship. Bookmark the permalink.